Sick of propping your Nexus 7 up with books, backpacks and terrifying spider-stands? 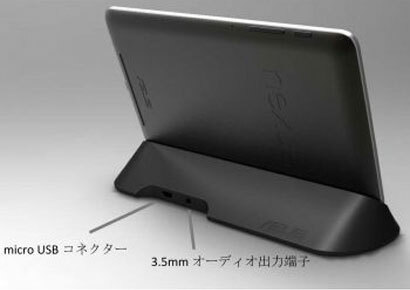 ASUS has something for you -- an official charging cradle. This wedge shaped slab dock was leaked in an accessory presentation back in July, flaunting a Micro USB connector and 3.5mm audio jack -- now it's back, flaunting a ¥3,580 ($42) sticker price on the Japanese ASUS shop. There's no word yet on international availability or official US prices, but the product page pegs the cradle for an early December ship date.